Jennifer Badeaux is the Assistant Director of the Nurse Anesthesia Program and is an Assistant Professor of Clinical Nursing at Louisiana State University Health Sciences Center New Orleans School of Nursing. She received her Bachelor of Science in Nursing from The University of Texas at Austin. She received her Master in Nursing with Specialization in Anesthesia from Louisiana State University Health Sciences Center and her Doctor of Nursing Practice degree from Texas Christian University Harris College of Nursing and Health Sciences. Dr. Badeaux is an advanced practice nurse and a Certified Registered Nurse Anesthetist. Dr. Badeaux serves as Course Coordinator for Nurse Anesthesia practicum I, II, and III. She also teaches in Nurse Anesthesia practicum IV, V, VI, Basic Principles of Anesthesia, Evidence Based Nursing Practice, Pathophysiology for Nurse Anesthesia, Scholarly Inquiry Project I, II, and III and in the undergraduate perioperative Nursing elective course. 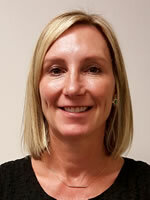 She serves as a faculty advisor to students and is a mentor for the CPRIDE program. She serves as a faculty member and committee member on multiple Scholarly Inquiry Projects. She is active in nursing professional organizations. She is the Chair of the Succession committee of the Epsilon Nu Chapter of the Sigma Theta Tau International Honor Society of Nursing and maintains membership in the American Nurses Association, Louisiana Association of Nurse Anesthetists, and American Association of Nurse Anesthetists. She serves on the Louisiana Nursing Supply and Demand council, multiple committees in the LSUHSC School of Nursing, and is a member of the joint LSUHealth School of Nursing and UMCNO Research Council Committee. Dr. Badeaux is a Joanna Briggs Institute (JBI) Comprehensive Systematic Review trainer and a JBI Evidence-based Clinical Fellow. Her multiple publications and presentations include clinical application of current evidenced base anesthesia, Interprofessional Education and simulation. She was a Daisy Award nominee and named one of the Great 100 Nurses of Louisiana. Dr. Badeaux has also been recognized by the Golden Key International Honour Society.